Welcome to the SwitchArcade Roundup for July 31st, 2018! Let’s close out the month of July in style with your daily dose of news, impressions, new releases, and sales just like we always do here at the Roundup. This time around I have impressions to share regarding the first Mega Man X Legacy Collection, but before diving into those, let’s take a look at our Game of the Day. We’re starting off in a futuristic direction for the SwitchArcade Roundup today. 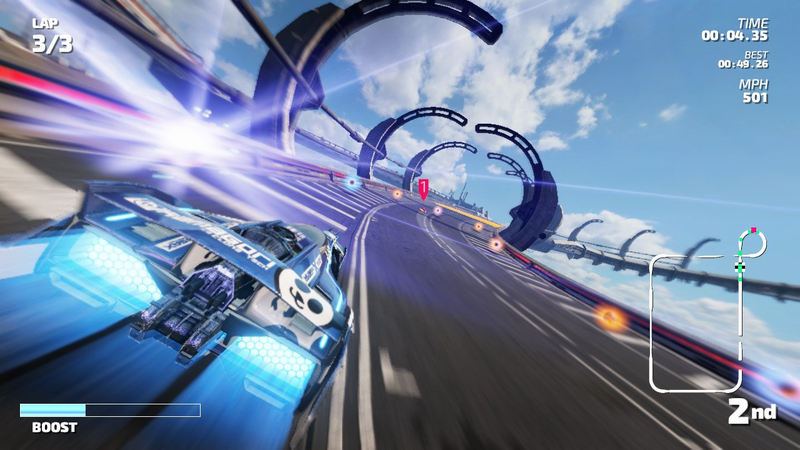 For years, Nintendo fans have loudly clamored for some more F-Zero, but their vocal support of a new entry in the series has fallen on deaf ears (or in Internet text form, blind eyes). While only vaguely similar to Nintendo’s futuristic racing franchise, FAST RMX from the mighty tech wizards at Shin’en manages to develop a blisteringly quick and exciting racer that might just scratch that racing itch that F-Zero fans have missed. When it comes to mobile gaming there are generally two camps that games fall into. We have the games that are absolutely great for dipping into when standing in line at the market and then we have the games that take hours from you in a similar vein to some of the very best console or PC games. It’s rare that you find a game that somehow manages to straddle the two camps, but in Pocket City ($4.99) we have a shining example of exactly that. This is a game that you can play in small stints but also settle down with, falling into a world other than your own. Pocket City is responsible for me going to sleep two hours later than I should have this past weekend. It’s that good. Last year Shallot Games released Vista Golf (Free), a stylish and minimalist mini-golfing game that you could play with just one hand. Besides having an endless mode, its biggest selling point was how it would rotate in three new 18-hole courses each week, making it a nice competitive game as players would jockey for positioning on the weekly leaderboards. Now Shallot is taking that competitive aspect and expanding on it in a follow-up title called Vista Golf Rivals. Here you’ll be able to compete with other players in asynchronous matches using the same intuitive one-handed controls of the original Vista Golf. It will also include the Skillz platform functionality built in so if you’re feeling especially confident you’ll be able to run tournaments and make real money wagers against opponents, though there’s a virtual currency system in place too if betting actual money isn’t your thing. Also Vista Golf Rivals will feature some new environments over its predecessor, which you can see in this preview video.